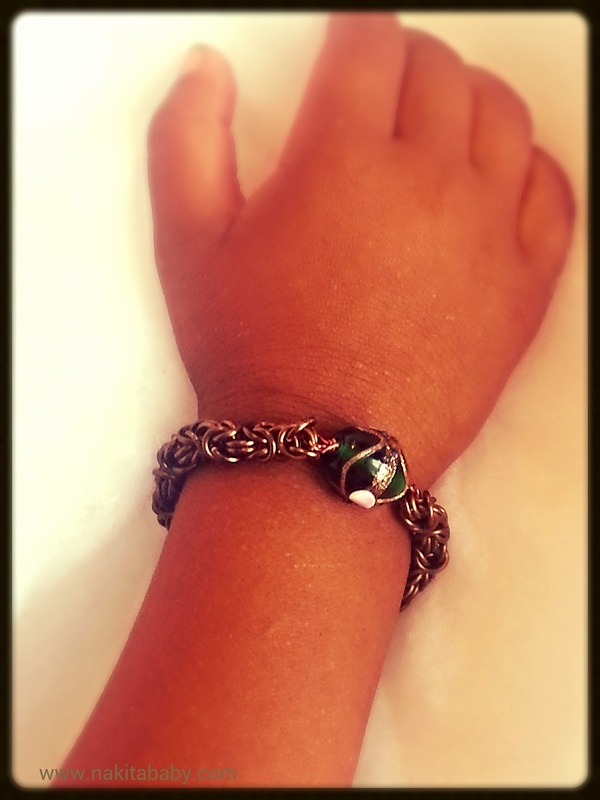 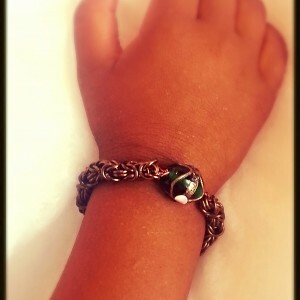 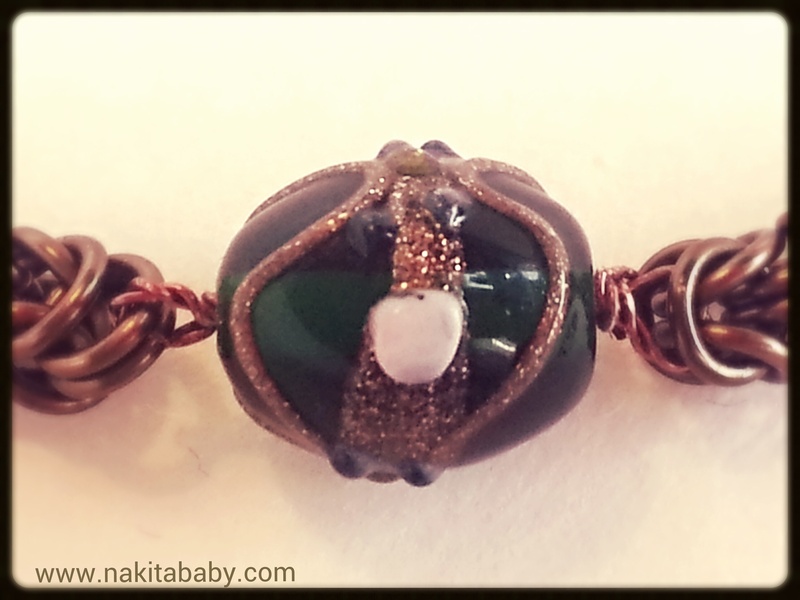 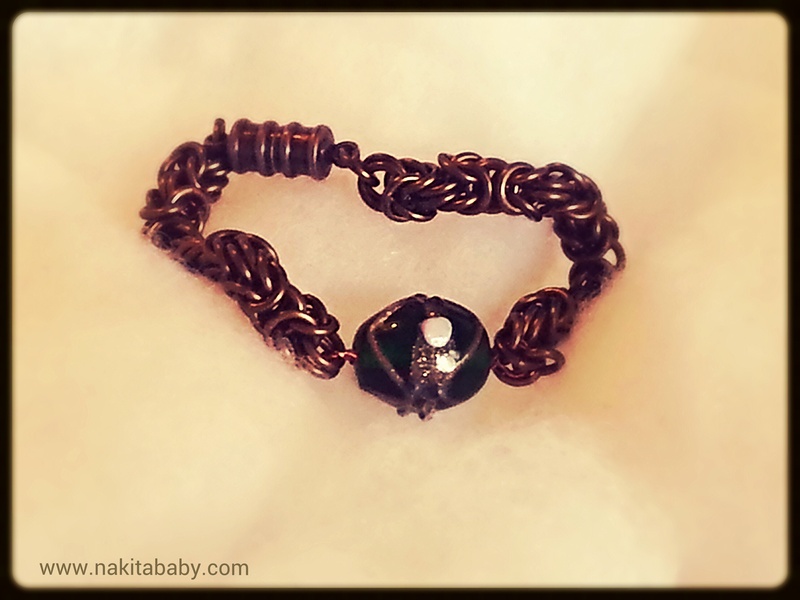 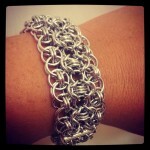 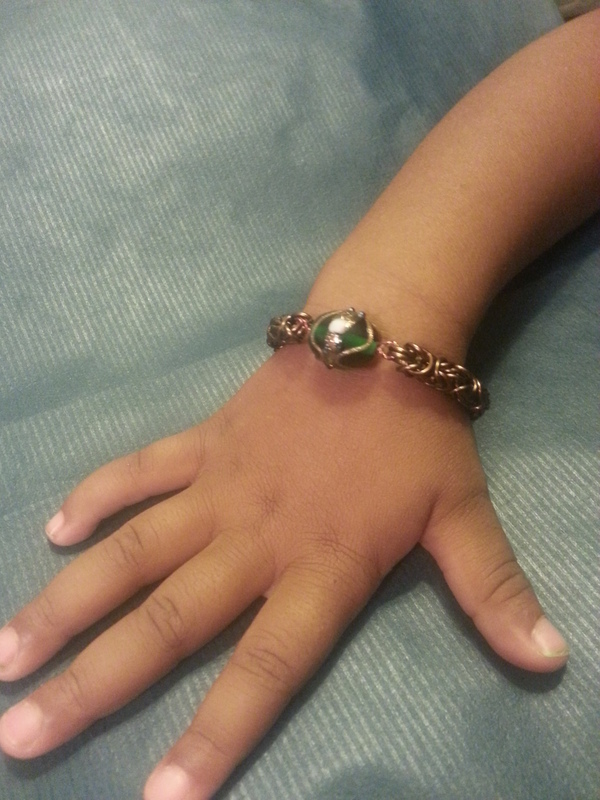 This little girl’s chainmaille bracelet incorporates the byzantine weave with a beautiful green decorated bead. 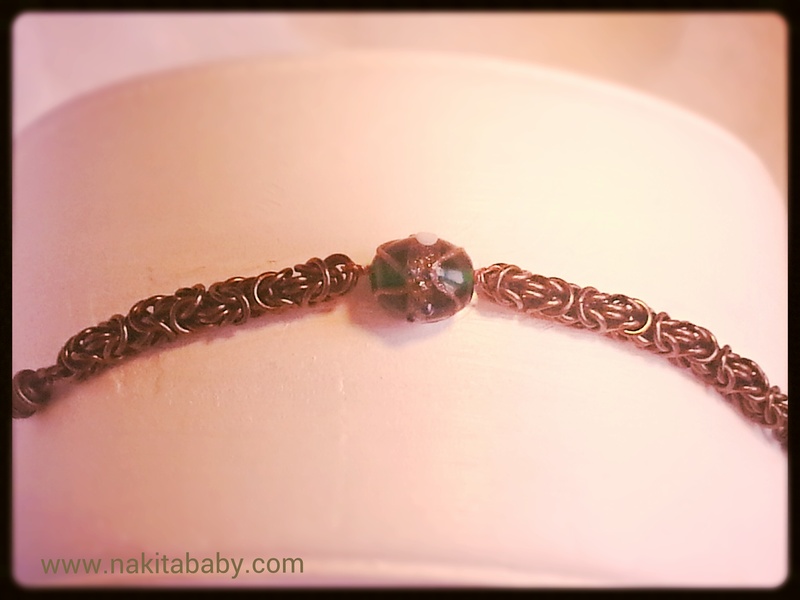 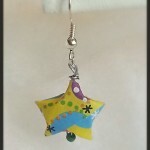 The clasp is magnetic and easy to attach. 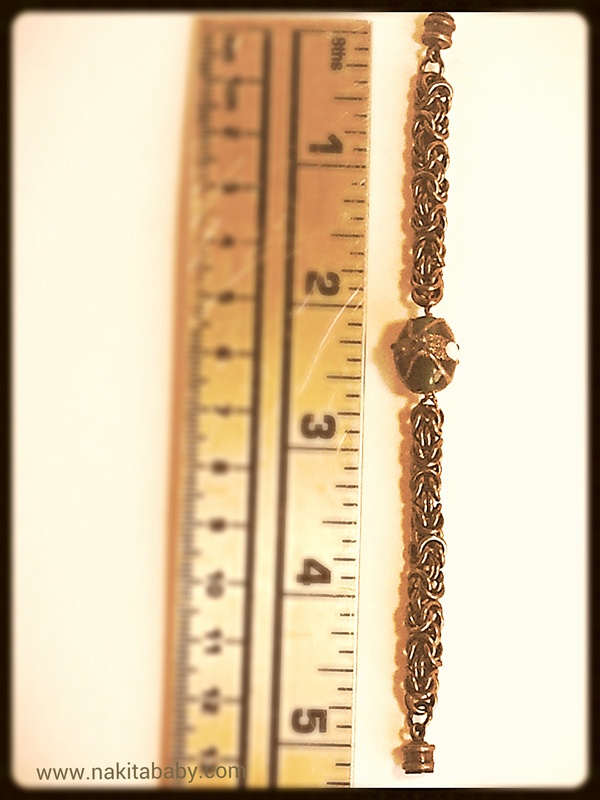 The beautiful antique gold color gives it the impression of various metal potentials. 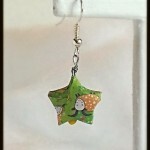 Free shipping only within the United States.